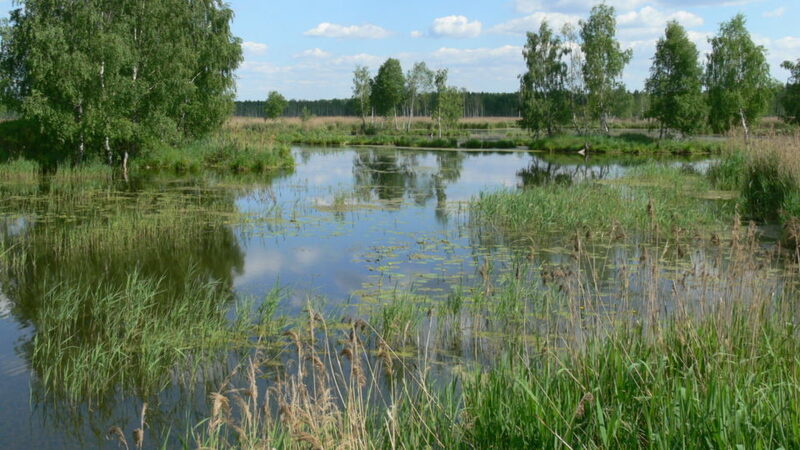 The Wetlands International Russia Programme takes part in the implementation of the Project on Restoring Peatlands in Russia – for fire prevention and climate change mitigation from 2011 to 2018. The project aims to contribute to the restoration and sustainable management of degraded peatlands in order to reduce fire incidents and GHG emissions from drainage in European Russian peatlands. 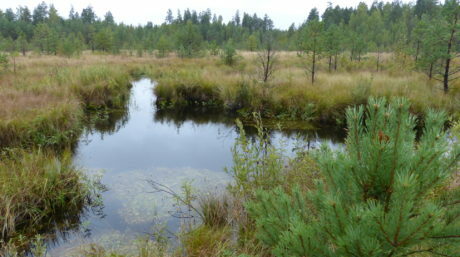 Compilation of a peatland inventory in Moscow Province, identification of priorities for rewetting, and guidance on appropriate rewetting techniques. Establishment of long-term capacity for hydrological restoration of unused drained peatlands. This includes: development of rewetting project designs and their implementation in pilot areas; development of methodologies and a knowledge base for further application of diverse rewetting techniques; monitoring of their effectiveness; optimal management; and maintenance of established hydrotechnical facilities. Enhancing capacity for preventing peat fires and reducting GHG emissions by improvement of scientific knowledge of the influence of different peatland management regimes on GHG emissions. This includes the establishment of a monitoring system for GHG and biodiversity as a method for evaluation of rewetting success. Capacity development for Russian institutions including training courses and seminars, international exchanges, joint Russian-German institutional research and methodology development, and enhancement of technical know-how. 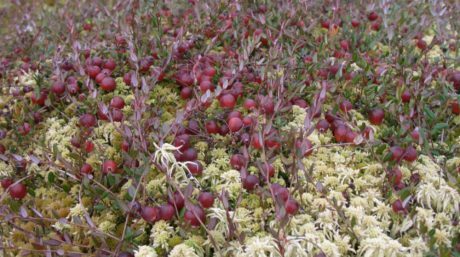 The project will contribute to the development of a formal framework for decision making on rewetting and adaptive peatland management based on monitoring and evaluation. Development of recommendations for policy and legislative reforms needed for sustainable management of peat at different levels (local, national, international). Development and promotion of approaches and mechanisms for sustainable peatland management, such as the introduction of paludiculture (wet agriculture), and an assessment of the potential for trading in carbon credits derived from reduced peatland emissions. 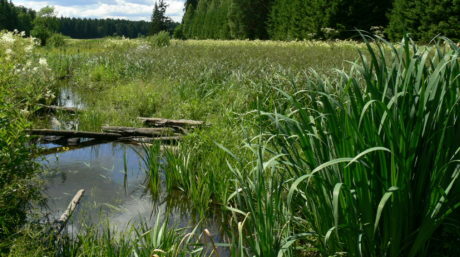 The project has and will continue to establish research and pilot sites for studying and demonstration of sustainable peatland management practices in the Moscow, Tver, Nizhni Novgorod and Vladimir Provinces. Although most peatlands have remained intact, several million hectares of peatlands have been drained and used for peat extraction, agriculture, and forestry. The peatland area used for peat mining is especially great in the Moscow Province. The major problems that have been addressed by this component of the Project are the low level of public awareness of peatland values and modern approaches to sustainable use of peatlands, lack of interest of most people as far as peatland conservation is concerned, and low capacity of organisations working in the field of peatland education. 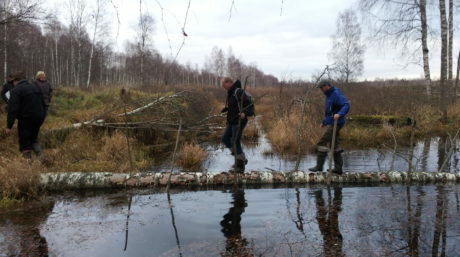 The project "Restoring peatlands in Russia – for fire prevention and climate change mitigation" includes activities towards promotion of sustainable peatland use, sharing information on paludiculture methods among the local landusers, studies into paludiculture development prospects in Russia, implementation of demonstration projects on growing peat moss and reeds on rewetted peatlands.